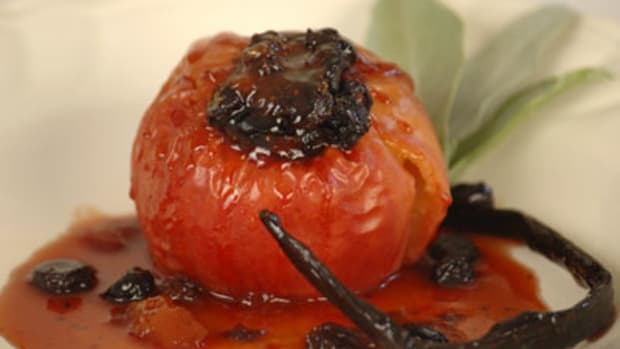 Try this festive dish made with perfectly poached organic christmas pears in port wine sauce. When cooking with wine, make sure to use a good quality wine that you enjoy drinking. Place orange, lemon juice, zest, port, sugar and cinnamon sticks in a heavy large pot. Bring to a simmer, stirring until sugar dissolves. Remove from heat. 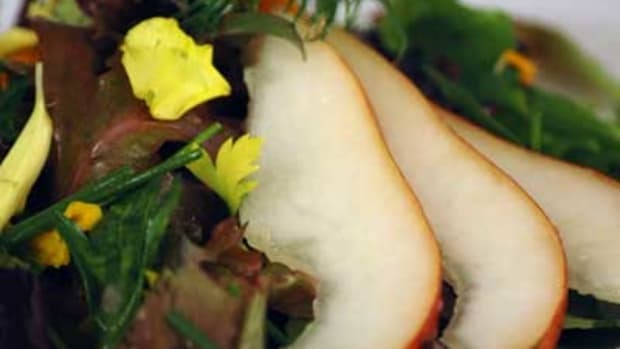 Peel pears with a vegetable peeler or paring knife, leaving stems intact. Cut off a thin slice off the bottom of each pear so the pears can stand upright. Place pears on their sides in the large sauce pan with the port wine sauce . Cover and simmer pears until just tender about 30 minutes. Rotate pears once about 15 minutes into cooking time. Using a slotted spoon carefully transfer pears to a baking dish and cool. Reduce remaining sauce to about 1/2 cup (about 6-8 minutes). 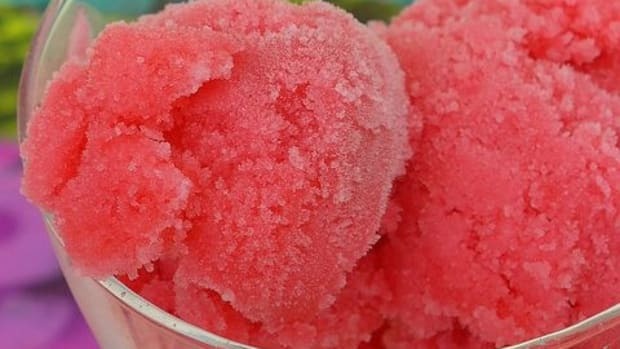 Strain into a separate bowl and let cool. 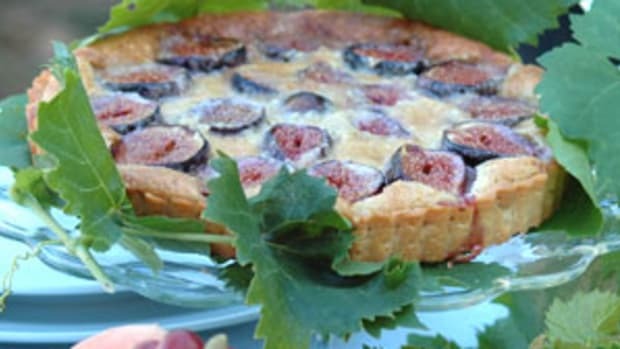 Cover and refrigerate sauce and pears for at least 2 hours and up to 2 days. When you are ready to make the whipping cream chill a large, stainless steel, mixing bowl in the freezer for 10 minutes. Beat cream in bowl until soft peaks form. Add liquor or cognac and sugar and beat until stiff peaks form. 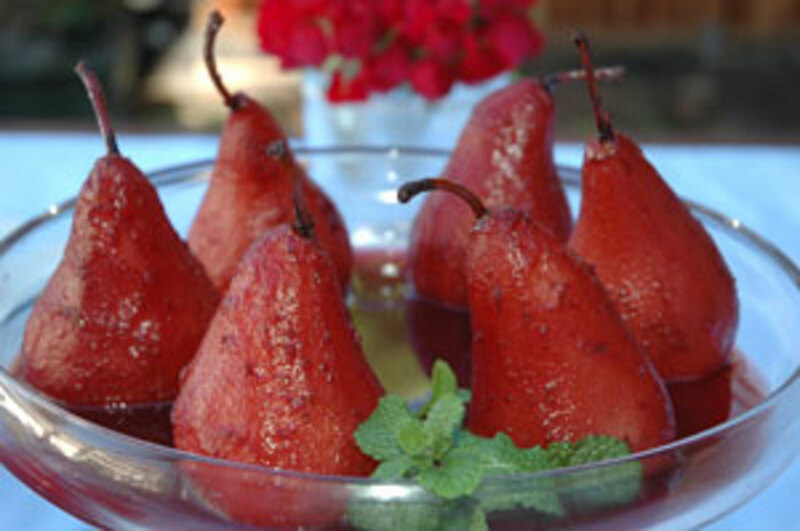 When ready to serve, bring pears to room temperature and reheat sauce. 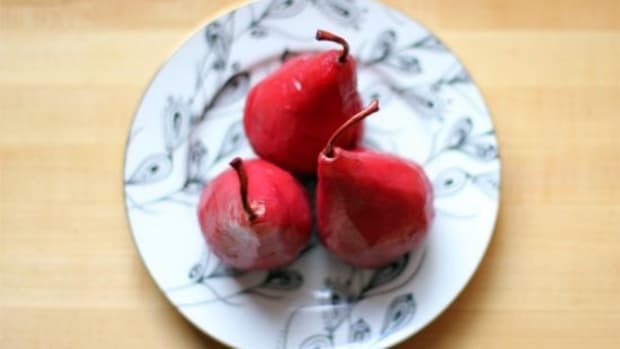 Transfer pears to an upright position on individual serving plates or on one large cake platter. Spoon port sauce over pears and serve with a spoonful of whipped cream and sprig of mint for color. Remember to use as many organic ingredients as possible for optimal flavor and health benefits.